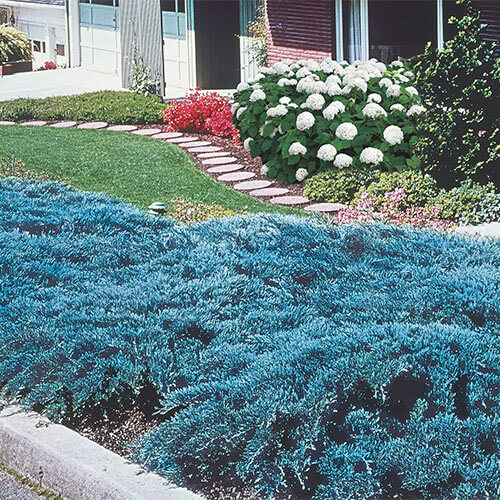 Low-maintenance, low-growing shrub is an excellent ground cover-and it's now available in a gallon pot and shipping now. Growing 6-8 inches tall, with a 36-inch spread, Blue Rug Juniper has gray-green to blue-hued needlelike foliage. Its branches creep along the ground, making it an outstanding choice in rock gardens, on slopes and banks, and even cascading over walls. Tolerates a wide range of soils. Grows best in full sun. Potted. Zones 3-9. 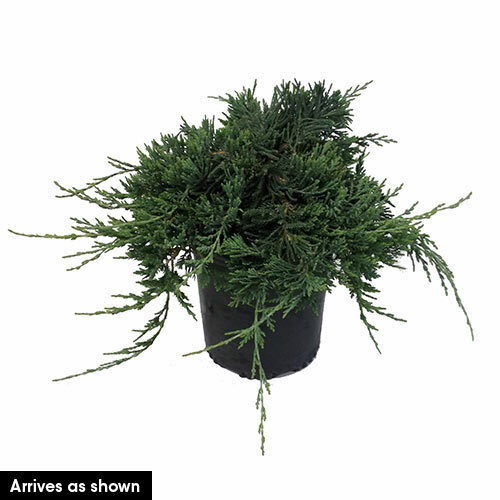 FoliageEvergreen, silver-blue with light purplish tinge in winter. CommentsTolerates heat, drought, and salt air. Thrives in any well-drained location. Color intensifies in sandy soil. Does well in south. DepthPlant at the same depth as it grew in the nursery.